The Sri Lankan Veddah community is usually described as indigenous as they maintain traditions or other aspects of an early culture that is associated in the country. Little has changed in their community and a number of books have been published on their customs, traditions, language, rituals, history and songs. 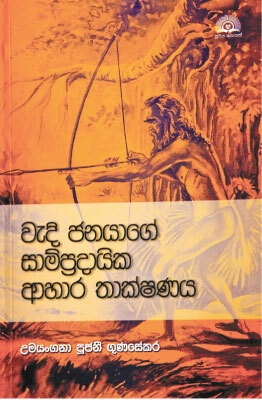 In addition to this collection, ‘Vedi Janayage Sampradayika Ahara Thakshnaya’ (Traditional Food Technology of the Sri Lanka Vedda People) written by Pujani Gunasekara reveals a deep study of the traditional food of the Vedda community published in Sinhala. Their food is known to be highly nutritious and is said to be very healthy. The diet of this community consists of mainly meat and honey. 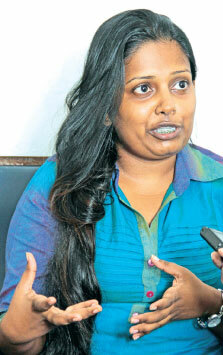 For six months Gunasekara traveled back and forth from Colombo to Dambana assisted by her father, Gunasekara Gunasoma who is a folklore researcher and writer. “Their food has sustainability and is eco-friendly. They eat only fresh foods. There are three types of Veddas in Sri Lanka – they are the Gal Vedda, Gam (village) Vadda and Coastal Vedda (Weralabada Vedda). For my research I selected the Gam Vedda of Dambana area in Sri Lanka,” said Gunasekara. The Veddas of Sri Lanka are a people who know the jungle well. They are part of it. They understand the creatures of the jungle and have understood nature. “When procuring honey, they have insight into the activity of the bees and their characteristics. According to the bees’ behavior they can make a prediction about the right time to harvest the honey in the honey comb. They instinctively know how much honey can be harvested. Basically they understand the character of the honey comb. We who live in these urban areas do not have the instincts of these Veddas, and we do not know the ways of the forest like they do,” explained Gunasekara. When it comes to hunting, their skills are have been honed to perfection. They possess with them knowledge passed down through centuries. They are shrewd hunters. “The can recognize the bird by the sound it makes and they can identify other animals through the sounds the animal makes. Because of these sharpened senses they hunter stealthily. They hunt in the jungle through a pre-conceived plan. Before setting out of their village they decide which animal it is that they are hunting and focus on that animal,” said Gunasekara. 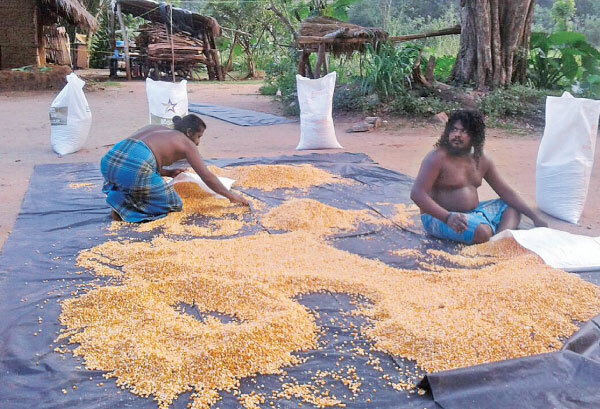 Gunasekara also pointed out that they only take from the land or hunt what they need. They only take what is sufficient and necessary for them. The vegetables and fruits they eat are all mixed composing of different kinds. As an Agriculture Graduate, Gunasekara feels that this is an excellent practice. “Another feature of these Veddas is their preparation of land for growing crops – zero tillage or minimum tillage. They don’t disturb the soil structure and the environment. In modern agriculture we disturb the entire natural soil structure which is not eco-healthy,” stated Gunasekara. The Veddas also believe in not wasting anything. They are very frugal and thrifty. In that sense they are extremely practical and use food preservation methods. “There are several methods they use to preserve the meat. One method is by smoking. It is done using a barbecue structure and the meat is placed on top of it. For this they use special firewood. Because when it comes to smoking, fire wood is different. This they know through the knowledge handed down through generations. The chemical compounds are not the same in every fire wood. They know which firewood to select even though they have no knowledge of chemistry,” explained Gunasekara. Gunasekara also pointed out that when you take the Balangoda Man who lived during Sri Lanka’s late Quaternary period there is a similarity between their foods and Vedda’s food. “The Vedda people have a very close relationship with their hunting dogs and take care of them well. These hunting dogs are specially trained. The Veddas do not hunt every animal. For example the cow and fowl is not hunted and eaten,” said Gunasekara. The Veddas when they obtain the honey from the beehive they prepare it as it is. Gunasekara attributes this to sustainability in her opinion. Veddas know which mushrooms are edible and which are poisonous. They have this indigenous knowledge. Another feature of the Veddas is that they have no specific intervals like urban dwellers and rural folk. They have no breakfast, lunch and dinner. When they feel the hunger they hunt and eat. “For us when cooking we sometimes use lime. But with the Veddas they use a special kind of leaf which gives a citrus taste. We use artificial flavours in our food, which is not very advisable health wise. But they use natural flavours. 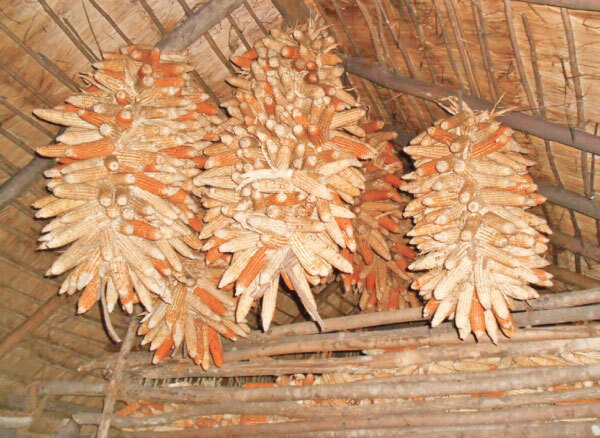 For example they take the pumpkin seeds and they dry it and then they blend and make flour which is used as a flavour for the vegetables,” pointed out Gunasekara. Gunasekara added that other researchers have done research about the Veddah people, concentrating on the social aspects with little focus on a scientific background of their food like her. “Their food is not artificial. It is very eco-friendly and natural. Their food habit and food patterns and how they cook, are the special features of the Veddah community. Honey is very nutritious and has many properties that are very healthy. They use pure honey. 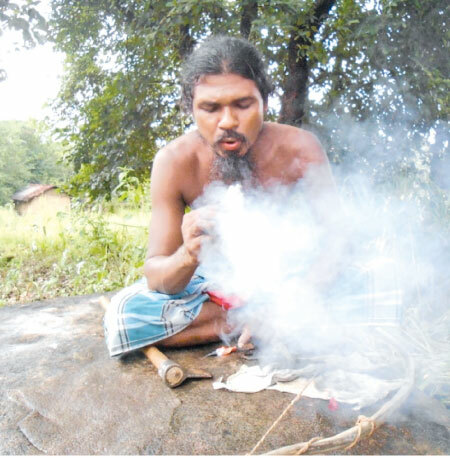 Veddah Chief Vannila Aththo told me that their secret to long life is their food pattern. Their food habits are identical to the food habits of their most ancient grandfathers. Our broiler chicken is very artificial but this is not so with their meat. They are a part of the jungle and they never use artificial chemicals in their food or in their preservative methods. Their long lives can be attributed to their lifestyles,” explained Gunasekara. Gunasekara has attended the University of Ruhuna Agricultural faculty and studied Agriculture Resource Management and Technology. During her undergraduate life she has conducted extensive research. “My father is a researcher and a writer. And that background helped me. When I was at Ruhuna University there was a very good environment in our faculty for research. One reason I have been so successful in my research is because of the training I received at Ruhuna. There are ample resources and the academic staff are very supportive. There is a great library and we were shown the correct path at Ruhuna. I must say that I am very much encouraged by my Vice Chancellor who commented on my book. I think there has to be a discourse in society about non-communicable diseases and make people aware of them,” said Gunasekara. Pizzas - those packed with cheese are in the danger zone. Any food that has poor nutritional value is considered unhealthy and may be called a junk food. A food that is high in fat, sodium and sugar is known as a junk food. It causes heart diseases, an increased risk of obesity and chronic diseases like cardiovascular disease, type 2 diabetes, non-alcoholic fatty liver disease and some cancers.